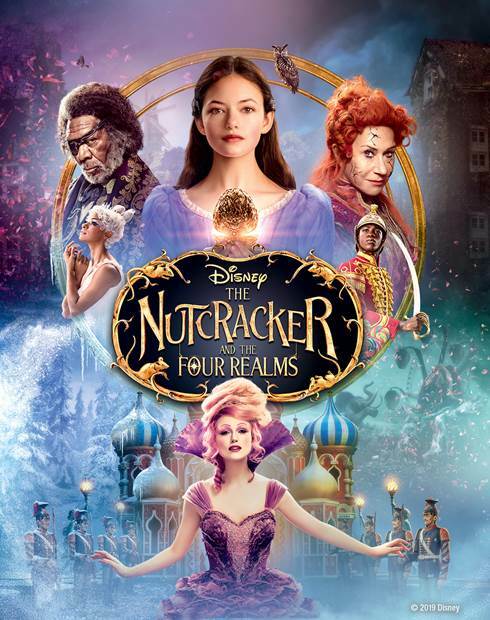 We're giving away five (5) digital copies of Disney’s The Nutcracker and the Four Realms, and all you have to do is provide your name, email and mailing address... No trivia questions, running through hoops, etc.. How easy is that? We'll select five winners (one copy per household) and send your digital copy via USPS. All entries must be received by Thursday, January 31st at 11:59 PM EST, so act fast. Good luck! 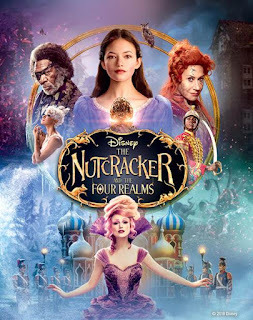 Synopsis: Disney’s dazzling adventure “The Nutcracker and the Four Realms” - inspired by E.T.A. Hoffmann’s classic tale and the beloved ballet “The Nutcracker” - carried audiences along with 14-year-old Clara (Mackenzie Foy) to a magical, mysterious world with breathtaking performances by Misty Copeland plus sweets, snowflakes, soldiers, scurrying mice... and no shortage of surprises. Destined to become an annual viewing tradition for adventurers of all ages, the film arrives home instantly with never-before-seen extras and deleted scenes on Digital and Movies Anywhere, and on 4K Ultra HD, Blu-ray and DVD January 29, 2019. The Nutcracker and the Four Realms is available on Digital and Blu-ray/DVD January 29th. Click here to purchase online.